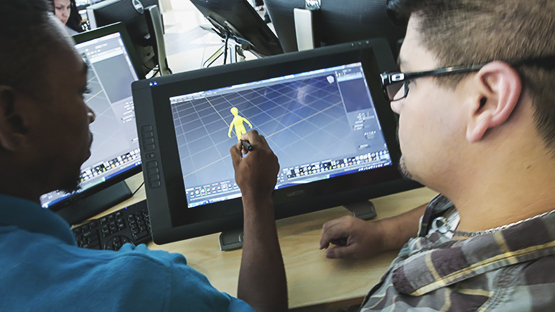 The Game Development curriculum at Miami Animation and Gaming International Complex (MAGIC) allows students to immerse themselves in the study of entertainment technology, while still pursuing a broad-based education. The program has an emphasis on game programming, exposing students to a range of development and design processes. Students can further specialize in game design, production, game engines and systems, audio, graphics and animation, and Web and mobile applications. The degree is intended specifically for students who are interested in careers within the professional games industry or a related field, such as simulation, entertainment or visualization. This degree also provides students with a core computing education. Students will be mentored by industry professionals from world-renowned gaming studios while completing a game project. Why MDC's Game Development Track?